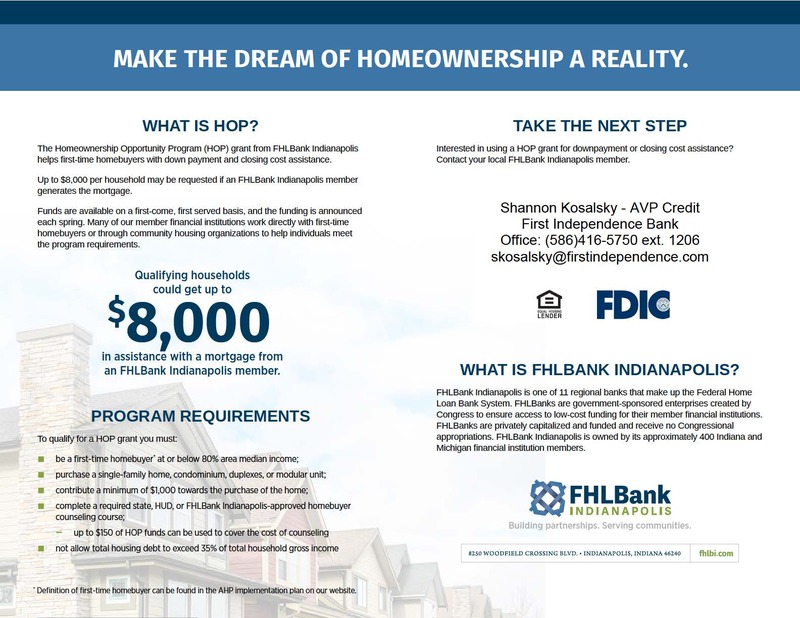 As a member of Federal Home Loan Bank of Indianapolis, First Independence Bank is now offering the Home ownership Opportunity Program (HOP) grant. HOP helps first-time home buyers at or below 80% of the area median income (AMI) with down payment assistance and closing costs. Up to $8,000 may be requested per household if First Independence Bank originates the first mortgage. This program will improve eligibility for mortgage financing, giving us an exciting opportunity to help more people make their dream of home ownership a reality.